Let's continue our celebration of Bracq Friday with another classic Paul Bracq designed coupe from Mercedes. This one isn't an over priced collectible, destined to sit in a garage like a Faberge egg in a china cabinet, like the previous 2-door Merc --no, this one is mean to be driven and enjoyed every day. 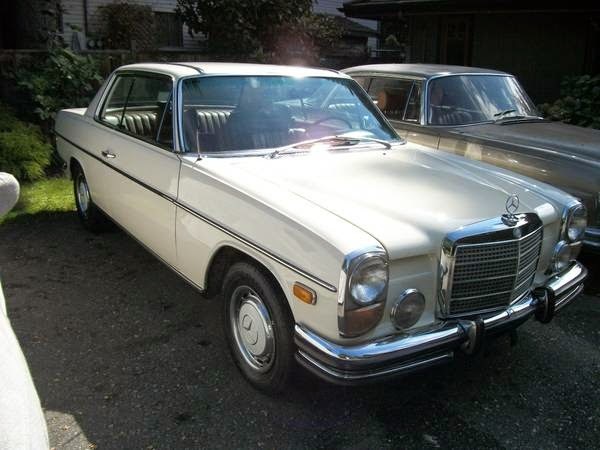 Find this 1972 Mercedes-Benz 250C here on craigslist, offered for $7500 in Vancouver, Canada. Tip from Gianni. 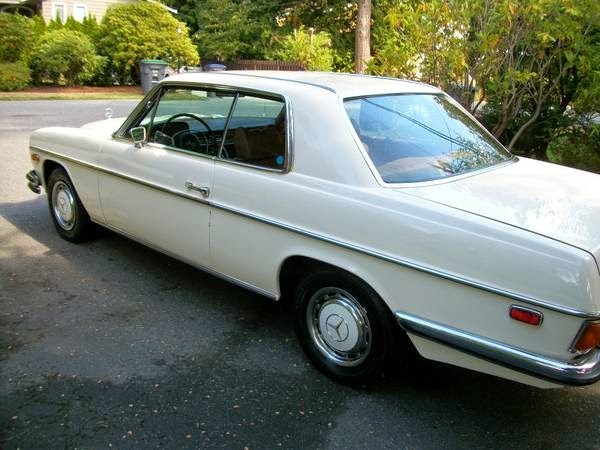 The W114 coupe is clearly not as cool as the W111, but if offers a great ability to consume miles of road while only requiring basic maintenance. They are not quite as bulletproof as some of the later diesel powered Mercs of legend (W123, etc) but it offers a far superior driving experience with the 2.5 liter M114 inline-6 pushing 146 horsepower into an automatic gearbox. This here is a door bustin Bracq Friday deal like no other!